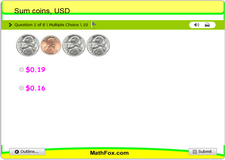 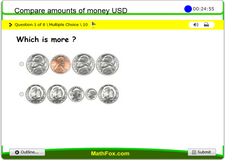 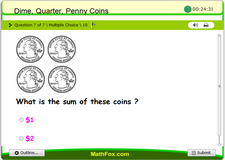 Money and shopping, math activities for children, Money topics, identify coins, dollars, dime, nickle, pounds, euro, US dollars, CAD, adding money, shopping lists, unit cost, getting change. 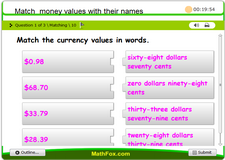 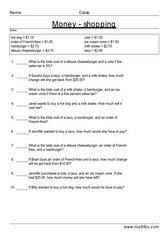 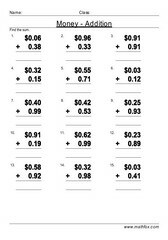 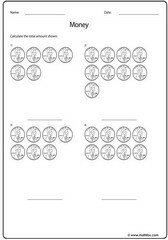 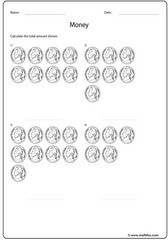 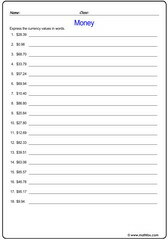 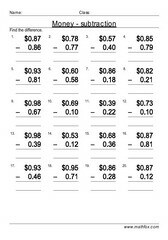 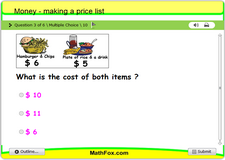 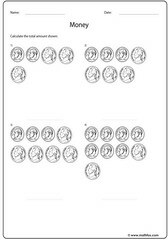 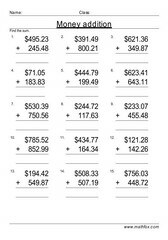 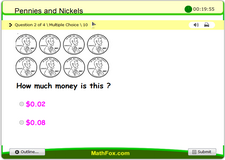 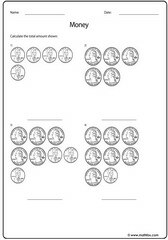 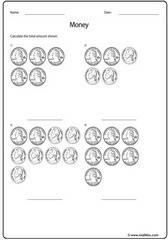 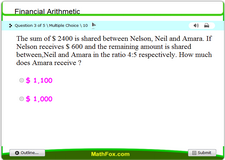 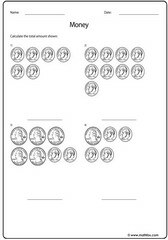 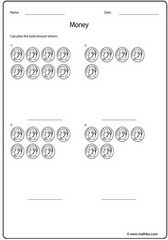 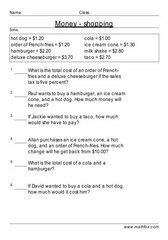 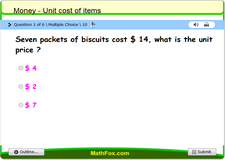 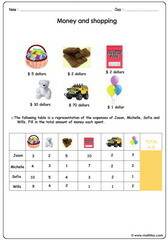 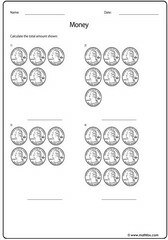 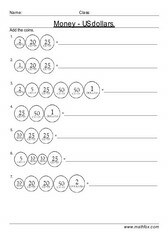 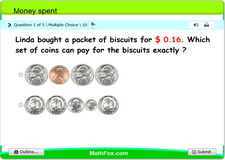 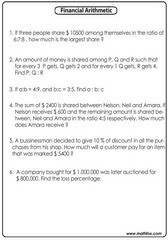 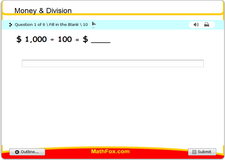 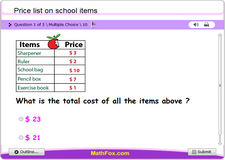 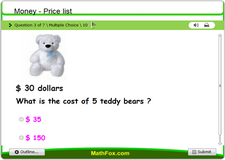 Money and shopping math activities for children - Math worksheets, games, quizzes, tests, PowerPoint games, board games, card games . 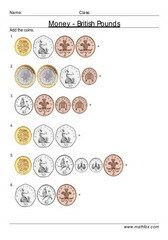 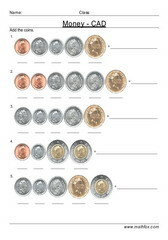 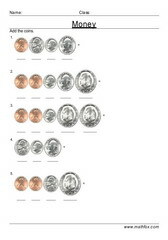 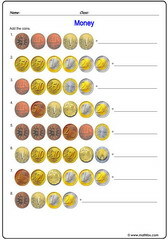 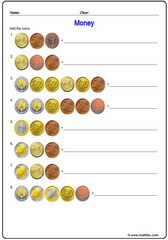 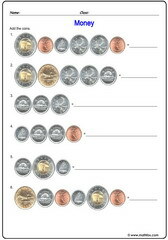 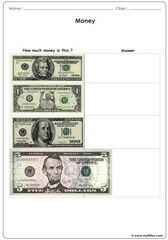 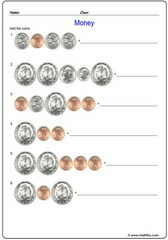 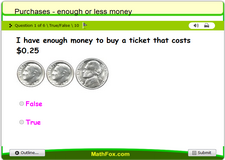 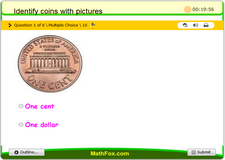 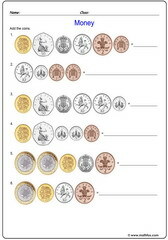 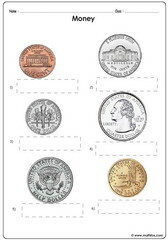 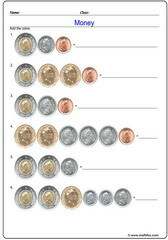 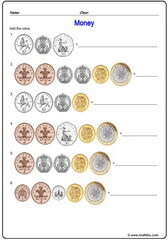 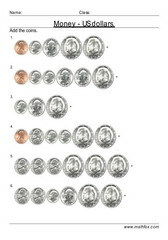 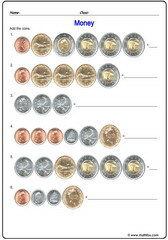 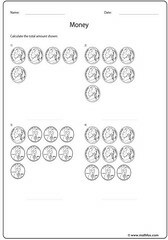 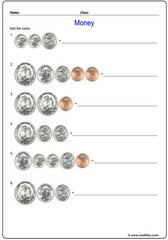 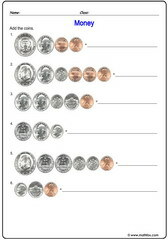 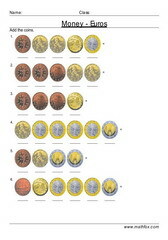 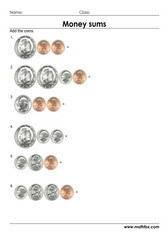 Money topics inlcude: identify coins, dollars, dime, nickle, pounds, euro, US dollars, CAD, adding money, shopping lists, unit cost, getting change etc. 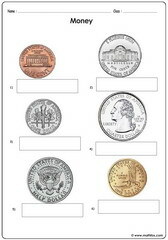 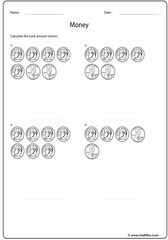 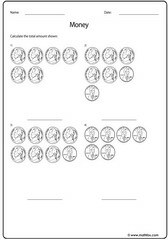 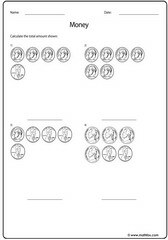 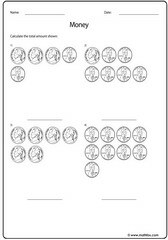 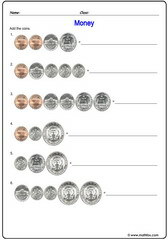 Activities on money for kids in the following grades : Pre-k, kindergarten, 1st grade, 2nd grade, 3rd grade, 4th grade, 5th grade, 6th grade and 7th grade.